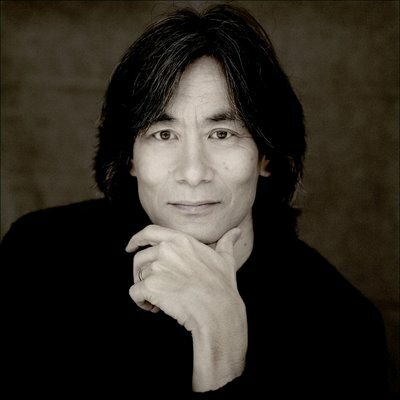 World class music directed by classical-music star Kent Nagano is coming to Brome Lake in August and the Town is already excited about the series of concerts that will be offered in Knowlton under the name The Festival Bel Canto! 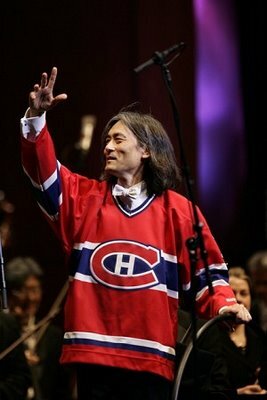 The Orchestre symphonique de Montreal (OSM) and its music director, Kent Nagano, have announced that a festival will be taking place devoted to bel canto (“beautiful singing”). The festival, which will be held from August 15 to 24 in the historic village of Knowlton, is a presentation of the OSM and Rome’s Accademia Nazionale Santa Cecilia in association with Bombardier. More information at the OSM official website. Just when us residents thought the only music we'd be hearing was from the newly installed speakers downtown, which have been known to play everything from Eric Lapointe to The Plain White T's, we get the welcome news that the newest poster-boy for classical music in Montreal, non other than Berkely's famous Kent Nagano, will be offering a series of concerts right here in Knowlton! Pinch me! We must be dreaming! And to make us even more giddy: Gino Vanelli will be performing! Some of you old timers remember Gino Vanelli from CHOM-FM back in the day when he sang "Wild Horses" and "Black Cars" and to think that he will be up on Tibbets Hill in Knowlton performing some Italian operatics is too delicious to even contemplate! The OSM wishes to enhance its summertime programming & something it has offered for many years now by repositioning the timeframe, setting and repertoire of its summer festival and in so doing expand the development of its audience. This edition of the festival will be held under the distinguished patronage of Italian soprano Renata Scotto. Madam Scotto, one of the great singers of the second half of the 20th century, today devotes herself to teaching, among other ways as master of voice at the Accademia. Among all the musical instruments, the human voice occupies a very special place, states OSM music director Kent Nagano. It is considered by many the most beautiful of instruments, capable of translating the passions and torments of the human soul in the most eloquent manner. For my colleagues at the OSM and myself it is important to honour, to share and to bring to life the great tradition of Italian bel canto today. We wish to provide a wider public with the possibility of discovering and enjoying this form of vocal art. And this is one more way of innovating and enriching our educational mission. Two weekends with the OSM and free events with six concerts under the tent in Lac Brome (Knowlton) in August. In the environs of Brome Lake, in a rustic and intimate setting, six concerts spread out over two weekends will be presented in a tent accommodating 600 spectators. Two performances in a concert version of the opera Norma, Vincenzo Bellini's masterpiece, will take place on Sunday, August 17 and 24, at 3 p.m. Mezzo-soprano Jennifer Larmore and pianist Antoine Palloc will launch the Festival on August 15 at 8 p.m. in a major recital with piano. On August 16 at 8 p.m., soprano June Anderson and four young singers from the Accademia Nazionale di Santa Cecilia will take the stage with the OSM and Kent Nagano to perform some of the most beautiful arias and ensembles by Rossini and Donizetti. The coloratura soprano Sumi Jo, meanwhile, will be featured at an evening dedicated to Mozart, Rossini, Donizetti and Bellini under the direction of Kent Nagano on August 22 at 8 p.m. This concert will be presented in Montreal as well, on August 20, as part of the Mozart Plus series, again under Kent Nagano. 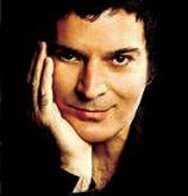 On a more popular note, well-known singer Gino Vannelli will be doing a show of Italian songs inspired by his most recent album, entitled “Canto,” with the Orchestre symphonique de Sherbrooke under the direction of Stephane Laforest. Tickets for the event range from $54 to $66 per ticket depending on if you are up close or in the back with the commoners. The calibre of talent would be worth twice the price and to be hearing the sounds of Nagano and Guests on Tibbets Hill will certainly be an incredible experience...kind of like a Woodstock for us sophisticated Townshippers! The programming includes free events during the day on the weekends: a concert featuring young singers from the Atelier lyrique de l’Opera de Montreal; a concert by the Choir classique de l’Estrie led by Francois Panneton, giving pride of place to area artists; and a chamber-music concert with OSM musicians and soprano Marianne Fiset. In addition, master classes will be offered by mezzo-soprano Jennifer Larmore and the Accademia’s head of voice, Massimiliano Murrali. The origins of bel canto are virtually indivisible from those of opera in Italy. From Jacopo Peri's Euridice (1600) to Bellini's Norma (1831) by way of works by Cavalieri, Caccini, Monteverdi, Rossini, Donizetti and a number of lesser known composers, the art and science of "beautiful singing" evolved according to principles and techniques handed down over the centuries by the greatest performers to a handful of carefully selected students, the trustees of an invaluable treasure. The predominance of bel canto in Italy (and its influence right across Europe) obviously had important repercussions on vocal music written after 1845 - the first name that comes to mind being that of Verdi. Bel canto enjoyed a new golden age during the first third of the 19th century when Rossini (1792-1868), Donizetti (1797-1848) and Bellini (1801-1835), smitten by classical ideals, lent their incomparable melodic gifts to the most beautiful voices of their time, fostering a virtuosity always at the service of expression. Soaring cantilenas, cascades of coloratura, runs, trills and other vocal fireworks and the most endowed singers found their abilities glorified by the pens of these composers of genius. Inspired by the magnetism and the personality of their performers, and laying the foundation for a veritable cult of the diva or divo par excellence and in the best sense of the terms and they devoted their creative talent to that most beautiful of instruments, the one that conveys with greatest eloquence the passions and torments of the soul: the human voice. Closer to our era, the words bel canto evoke, for lovers of the vocal arts, a sort of Eden restored. Maria Callas, Joan Sutherland, Montserrat Caballe, Luciano Pavarotti, Marilyn Horne and Renata Scotto in the second half of the 20th century succeeded in restoring a lost art its letters patent, while in our time June Anderson, Sumi Jo and Jennifer Larmore have been some of the heirs to this great tradition. This partnership with the Accademia Nazionale di Santa Cecilia is the result of an initiative of OSM music director Maestro Kent Nagano and Professor Bruno Cagli, president of the Accademia Nazionale Santa Cecilia and who will be present in Knowlton. Founded in 1585, the Accademia is one of the world's most renowned music institutions, as much for the exceptional role it plays in education as for the excellence of its orchestra and chorus. Renata Scotto, patron of the Festival, is currently master of voice at the Accademia. A bel canto festival in Rome will take place from September 12 to 29, 2008. As Professor Cagli explains, the Accademia was founded at the time of the great polyphonists (Palestrina, Vittoria, Gesualdo, Marenzio), just before the birth of opera: "We work regularly with Renata Scotto and other musicians to maintain the great tradition of bel canto, an essential part of the history of music. We are convinced of the need to offer an exact representation of the great vocal repertoire but also of the need to guide young singers in their professional apprenticeship. We hope that the collaboration between Santa Cecilia and the OSM, between these two worlds, will excite the interest of those who appreciate good music and will lead us to further initiatives in the future." A number of artistic and educational collaborations are being born out of this partnership between the OSM and the Accademia. The bel canto festivals in Knowlton and Rome will present the same opera: Vincenzo Bellini?s Norma conducted by Maestro Kent Nagano with Micaela Carosi and John Relyae. Singers from the Accademia di Santa Cecilia have been invited to Knowlton to share the stage with soprano June Anderson. Moreover, teaching is at the heart of the partnership, with master classes, scholarships offered by the Accademia for advanced study in Rome, and a training program for young singers. Finally, violinist Riccardo Minasi, a specialist in early instruments (style and practice) from the Accademia, will act as advisor for the performances of Norma. Knowlton and the Town of Brome Lake were important partners and without the mobilization of a good number of citizens and businesspeople in the Brome-Missisquoi area such an event would not have taken place. For the honorary president of the Festival, Mr. Marco Genoni, ex-president of the Knowlton Chamber of Commerce, “The extraordinary beauty of nature here, the renowned gastronomy and the abundant historical character of the village were some of the factors in the choice of Knowlton as the setting for the Festival. A decisive element was the community itself, of Knowlton and of the region: a community that answered the call with enthusiasm and generosity, a community rich in tradition. I thank the Town of Brome Lake, which will be a major partner in the organization of the Festival”. This sort of world-class event being held in Knowlton is proof that Brome Lake is an important part of the heritage and future of Quebec. Bravissimo to all those who worked so hard to make the event a reality!